BelarusDigest > All > Scandal in Vienna: Belarusian Regime Funded by Austrian Business? Recently, the Austrian newspaper Die Presse has published an investigative article on doubtful relations between some Austrian businesspeople and Belarusan president. Sports journalist Erwin Roth found out that luxurious holidays for Lukashenka and his family in Tirol have been paid by Leo Walner, the former chairman of Austrian National Olympic Committee (NOC) and owner of Casinos Austria network. The affair presumably happened in 2002, yet it is casting unfavorable shadow on rather lively activities of Austrian business in Belarus under Lukashenka. The Austrian Olympic Committee itself did not benefit from the affair, says Erwin Roth. Actually, it was not involved in it, because the whole trip was organized by Austrian Casinos, official sponsor of Austrian NOC and “informal fund of Belarusian dictator”. Leo Walner then was both NOC Chairman and casinos owner and it helped to solve a problem of the EU prohibition for official contacts with Lukashenka. Mr. Walner organized invitation of the Belarusian leader as the Belarusian NOC Chairman. Leo Walner explained in an interview that they worked in the best interests of Austrian economy. His subordinate, Gerhard Skof added that not only casinos but also other Austrian firms have had the plans to expand their business in 10-million Eastern Europen nation, so the trip was both useful and necessary for them. Austrian businessmen interested in business opportunities in Belarus have paid for Lukashenka. Walner declined to discuss the concrete names of these people. Yet Austrian casinos did not so far open any subsidiaries in Belarus, so Erwin Roth supposes that the whole affair could be just about money laundering and is going to submit the documents on it to state prosecutor office in Austria. One cannot say, however, that Austrians did not get anything in 2000s in Belarus known for its reluctant attitude to foreign investors. Finally, it was the Austrian Raiffeisenbank which could buy a comfortable share of the major Belarusan Priorbank and only Austrian business could acquire the big bicycle fabric in Minsk and one of three cell phone providers, Velcom. Without noise, just effectively take control – so it went, just some miracles of Austrian entrepreneurship with its secrets securely hidden by both sides. Quite predictably, the last scandal caused much bigger uproar in Austria than in Belarus and has been followed by other Austrian newspaper, Kurier. According to its investigation there were millions of euros sent to a secret account of the NOC established by Leo Walner in 2001. There is no need to discuss here fatal implications of financing the holidays of one country's leader by foreign businessmen. They are obvious. The scandal is more interesting in another respect, for it demonstrated nature of Belarusan regime, rather unclear and non-transparent otherwise. And it is opportunism without high dreams or idealistic ideologies. This face have and had numerous regimes in developing countries continuously sinking in poverty and degradation. And it shows corporate practice which does not distinct between responsible business and befriending some stealing dictators. The place for such doing was perfect – neutral Austria was known in the Cold War time as a place with extremely high concentration of Soviet spies. The Belarusian regime with its Soviet-time cadres and methods could really feel itself comfortably in Austria they know from that time, as well as they could use its old networks of “comrades”. Interestingly enough, the current head of Presidential Administration of Belarus, Mr. Uladzimir Makey is known by his special services carrier and work in Vienna. Does Austrian government tolerate the foreign special services dealings on its soil in order to preserve the image of the Alpine Republic as convenient place for murky affairs and even settling scores (sometimes with blood shedding)? So, last year, Western media have frequently written on very high level of activity by Russian special services in this Central European country, presumably eliminating some emigrees, opponents of Russian government. 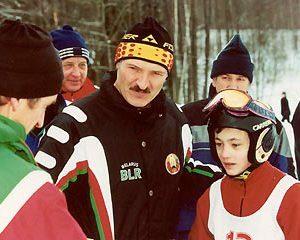 In this context, Lukashenka's mountain trip seems not so outrageous. He does not harm anyone physically (as far as we know) there and just used some rich Austrians to enjoy himself. Of course, probably it was not only Leo Walner and not only Austrian business to make some deals with the Belarusian strongman. Just Austrian had enough mechanisms to uncover it, although after eight years. There is another strategic point here. This way could be seen by Belarusian regime as a silent yet effective way out of international isolation. The recipe is simple – if you oppress your people, you just need to be necessary for mighty and influential, make deals with them, and you do not need to change anything in the country you consider your ownership. It is working on business level, as a new Vienna scandal proved and it is working on geopolitical level. Since Russian aggression in Caucasus completed Lukashenka's transformation from a Europe's “last dictator” into quite acceptable leader of the country between the EU and Russia. He is feeding all interested sides with lavish but empty talk on “liberalization” while holding phony local councils elections (last Sunday) and doing almost nothing real to undo restrictions on rights and freedoms. Really, for what reason should he? The geopolitical interests are guaranteed by the EU and more trivial needs such as ski in the Alps can be provided for by some eager Western businessman. Read Olympisches Komitee: Ein Konto für den Diktator in Die Presse. On 26 April 1986, a human error and the Soviet equipment caused the Chernobyl disaster – the largest technological catastrophe ever. For many days Soviet authorities attempted to conceal the scale of the disaster. The Soviet Union admitted that an accident had occurred only after radiation levels set off alarms at the Forsmark Nuclear Power Plant in Sweden. Instead of immediate evacuation, people were taken to the streets on the the May Day to celebrate the communist party with red banners and portraits of Lenin. Because of the wind direction, the bulk of contamination ended up in Belarus which suffered more than any other country from the disaster. Chernobyl-type nuclear plants are more than just history. The territory of Belarus is literally encircled by Soviet-type nuclear plants. Just across the border are Smolensk and Kursk nuclear plants in Russia, Ignalina plant in Lithuania, and nuclear plants in Ukrainian Rivne and Chernobyl. The European Union authorities considered Ignalina unsafe and Lithuania had to close it down last year. The Russian authorities do not think that their Soviet-type plants are too dangerous and Ukraine perhaps lacks funds to replace its own. The closure of Ignalina decreased energy dependence of Lithuania, which plans to build another nuclear plant on the border with Belarus. Russia also depended on Ignalina and plans to build a nuclear reactor in its Kalinigrad enclave. Vladimir Putin already signed a decree to begin construction. This will increase to seven the number of active and recently closed (but still dangerous) nuclear plants close to the Belarusian border. Belarus has none on its own territory. Belarus authorities has long dream of building its own nuclear plant and it is is likely to appear on the Lithuanian border. Although Russia's assertiveness in using its natural gas and oil as strategic weapons may justify the rush to build more nuclear plants, it should not blind the decision-makers. The costs of building a nuclear plant are enormous and require heavy external borrowing. Purchasing and recycling radioactive fuel is also very expensive and Belarus will have to rely on Russia for that. And at some point, the nuclear plant will need to be dismantled which takes decades. For instance, it will take 20-30 years to complete dismantlement of the Ignalina plant. If you all these maintenance costs are put together, the nuclear energy is far from cheap. Chernobyl showed the world that nuclear energy is particularly dangerous in undemocratic and nontransparent societies. Belarus learned the lesson the hard way with human suffering of hundreds of thousands and hundreds of billions dollars in economic losses. Still many tend to forget that in the absence of full transparency and independent control mechanisms, nuclear energy is a too dangerous toy to play with. 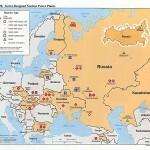 It is true that Belarus cannot control nuclear stations across its border and is exposed to any potential accidents. The fact that it cannot do anything about it should be accepted and building its own station will not change it. Belarus is not exactly the ideal of democracy and good governance and the risks of a human error similar to that which caused Chernobyl are too high. If the Belarus nuclear plant sponsored, built, fueled and maintained by Russia it will make the country even more dependent upon its Eastern neighbor. Instead of exposing itself to more foreign debt and dependence upon Russia, Belarus should bargain with Lithuania, Russia and Ukraine and buy cheap nuclear energy from them. They will always have a surplus of energy to sell. And given the competition between these countries, the price will be reasonable. Ripping the benefits of cheap nuclear energy without bearing the costs of maintaining nuclear plants would be a wise policy for a country which suffered so much from Chernobyl.